Local residents, Darryl & Mary Ebert, along with their son, Michael, put up a good fight to save their family property of forty years from a State Government acquisition of the land for the purpose of building a State High School. The Ebert family reside on their goat farm located on Kinsellas Road East. During their time there, they have planted and nurtured some 1470 trees, all due to be cut down to make way for the proposed High School. They’re quite well known in Mango Hill for the community goat days held on their property, with one being held just yesterday! They raised an incredible $1092.75 from the gold coin entry to be donated to farmers doing it tough! 1. Long walking distance from main roads, bus routes and train lines. 2. Displacement of wildlife, including an already dwindling population of koalas, kangaroos and bird life. 3. Community character, the farm is an important and valued part of our community. 4. 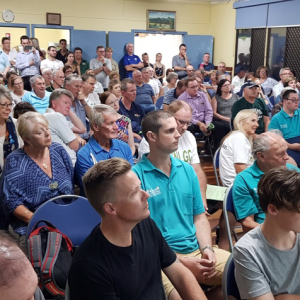 Concerns over health risks of nearby power pylons and Ross River fever due to the large volumes of mosquitos present during the warmer months and the fact that people have contracted Ross river fever at the proposed site previously. 7. Trees aged over 100 years old being felled and the impact this has on the environment and overall feel of the neighbourhood. 9. A family farm of 40 years and it’s residents being told they need to pack up and go. 10. The surrounding residents who border the property line having not had full disclosure their properties would be backing on to a high school. 11. More responsibility should be given to council to help prevent future resumption’s by way of better management and planning of community ammenities at an early planning stage. 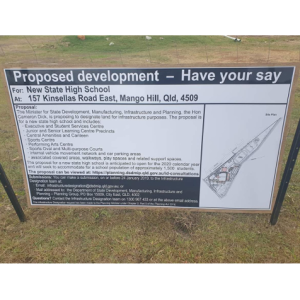 The good news touted by the State Government today is that land has been secured for the purpose of a high school in Mango Hill. Sadly however, this is a resumption of private land with the Ebert family losing their fight to remain on their property. They have until the 31st of October to relocate. 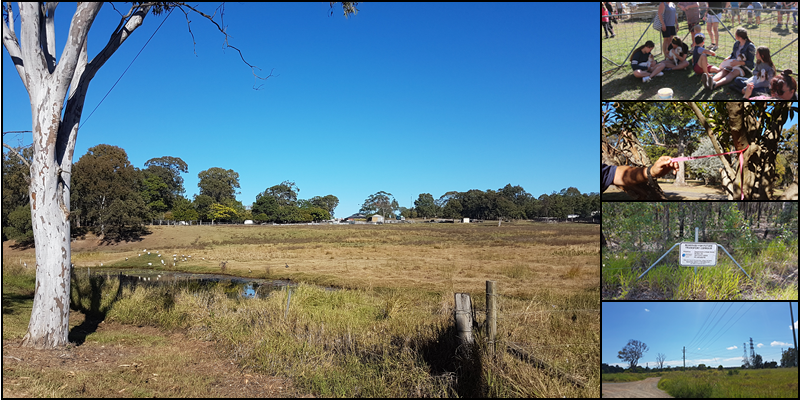 The Queensland Government Gazette published the Taking of Land Notice (No 03) 2018 on the 17th of August 2018. Member for Murrumba Steven Miles welcomed the news of the new High School for the area. 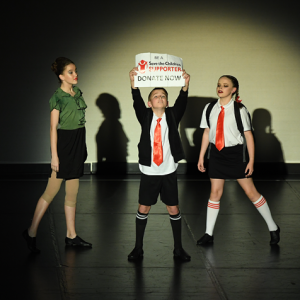 “I know many parents are excited about sending their kids to a high school right here in Mango Hill. Member for Bancroft Chris Whiting said the new High School would take pressure off North Lakes State College. The school will eventually accommodate up to 1800 students.